This week I decided to make my image look different, while still looking realistic. I changed the contents of the mug from tea to ‘coffee with cream’. Also I changed the lettering that wraps around the mug. And of course the usual edits that I would do to any image, exposure, contrast, etc. 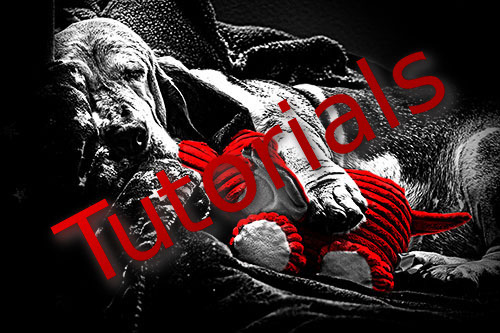 ** This tutorial is going to be slightly different than my usual tutorials, in that I was not able to accomplish everything with Open Source software. There is a tool in GIMP called Cage Transform that was close to what I wanted, but it was difficult to work with and rendered very slowly and basically just made me incredibly frustrated, especially when I knew I could do a similar task in just a short amount of time in Photoshop using the Transform tool. I tried the Perspective tool in conjunction with the Rotate tool, but I couldn’t get the image to bend, which is what I wanted for the image around the mug. I tried the iWarp filter, but I didn’t understand how to use it. And I tried the Curve Bend filter which could have worked but without being able to see the image being wrapped around the mug, it became frustrating as well. Ok, enough of that… let’s get to the fun stuff. Duplicate the base layer. Add a bit of contrast. Duplicate contrast layer (2 times), add a white mask to one. Move the other, then add a black mask. Duplicate moved layer and change blend mode to Screen. Add a transparent layer, color it brown, change the blend mode to Addition. Using the path tool draw around the liquid, add a mask of selected. Add a Gaussian Blur of 25. Duplicate the liquid layer, change the blend mode to Multiply. Save file as a .tif. Then take image over to Photoshop and warp the image over the side of the mug. Save again as .tif. Bring .tif back to GIMP and add final touches. I added a vignette with a radial gradient. 1. Duplicate the base layer. Add a bit of contrast. Duplicate base layer by using the duplicate tool. Then go to Colors->Brightness-Contrast and increase the contrast a little (I set mine to 5). 2. Duplicate contrast layer (2 times), add a white mask to one. Move the other, then add a black mask. Duplicate this new layer twice. Turn off visibility to all layers except this one by clicking on the eye icon. Add a white mask to the top layer, Layers->Mask->Add Layer Mask and choose white. Then paint black on the white mask in the area you want to remove. Next turn on visibility to the layer below this one and using the move tool, shift the image around until it looks like it removes the portion in a believable way. You may have to make a few layers like this depending upon your image (see this tutorial for multiple layered removal). We are basically making a really big clone stamp and controlling it ourselves. Now add a black mask and then paint white on the area to clean it up. Black mask. The image is shifted down from the top image. 3. Duplicate moved layer and change blend mode to Screen. Now you may notice that the area is a little bit dark, so if you duplicate the Black mask layer and then change the blend mode to Screen, then reduce the opacity to 20%, it will lighten up that area. 4. Add a transparent layer, color it brown, change the blend mode to Addition. Using the path tool draw around the liquid, add a mask of selected. Add a Gaussian Blur of 25. Add a new layer and choose transparency. Fill this layer with a new color. I used the color picker tool and selected one of the browns in the counter top. Then I went to Edit->Fill with FG Color. Change the blend mode to Addition. Next we are going to use the Paths tool, it is a Bézier curve tool. Which means that you move the handles on the points to make the lines bend. It is a bit tricky at first until you get used to the concept. First we click on the side, the top, and the other side, then back to the original spot (hold down the Ctrl key) to close the path. The mouse pointer will change to two links when you hold down the Ctrl key. Then go to Select->From Path, to make the path a selection. Clicking on the brown layer, add a mask from the selection Layer->Mask->Add Layer Mask selecting Selection. It will require just a tiny touch up which we can do easily with the Paint Brush tool, make sure you are painting on the mask. 5. Duplicate the liquid layer, change the blend mode to Multiply. I decided that this looked a little too milky, so I duplicated that layer and changed the blend mode to Multiply. 6. Save file as a .tif. Then take image over to Photoshop and warp the image over the side of the mug. Save again as .tif. I could have stopped here, but I wanted to add an image to the side of the mug, for that we have to go to another program. Photoshop has a transform tool that can warp in real-time on top of your image so you can see what’s happening. File->Export As your image as a .tif file so that it will be saved in a lossless compression format. 7. Bring .tif back to GIMP and add final touches. I added a vignette with a radial gradient. For the finishing touches, bring it back into GIMP (after saving as .tif again). I added a vignette to my image using a radial gradient. Then apply a radial gradient using the gradient tool. I then resized my image to 500px and added some sharpening for the blog.